From the mid 80s a pamphlet from Red Wedge “Fact Not Fiction Series” No. 1. It outlines the priorities of the project which was aimed at Youth. They were training, Unemployment, Allowances, Low Pay, Gay Rights, Housing and Internationalism. 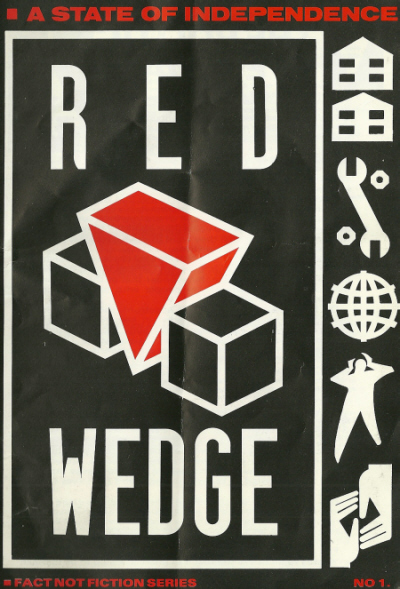 Red Wedge was a collective of artists and musicians who came together in opposition to the Conservative government of Margaret Thatcher. 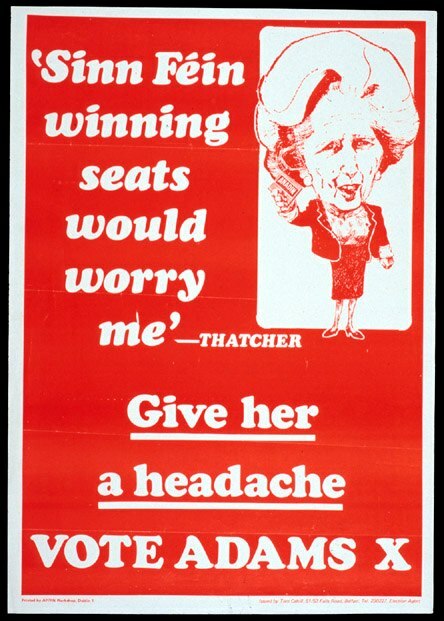 They worked closely with the Labour Party, organising gigs and public meetings in support of their effort to defeat Thatcher in the 1987 election. 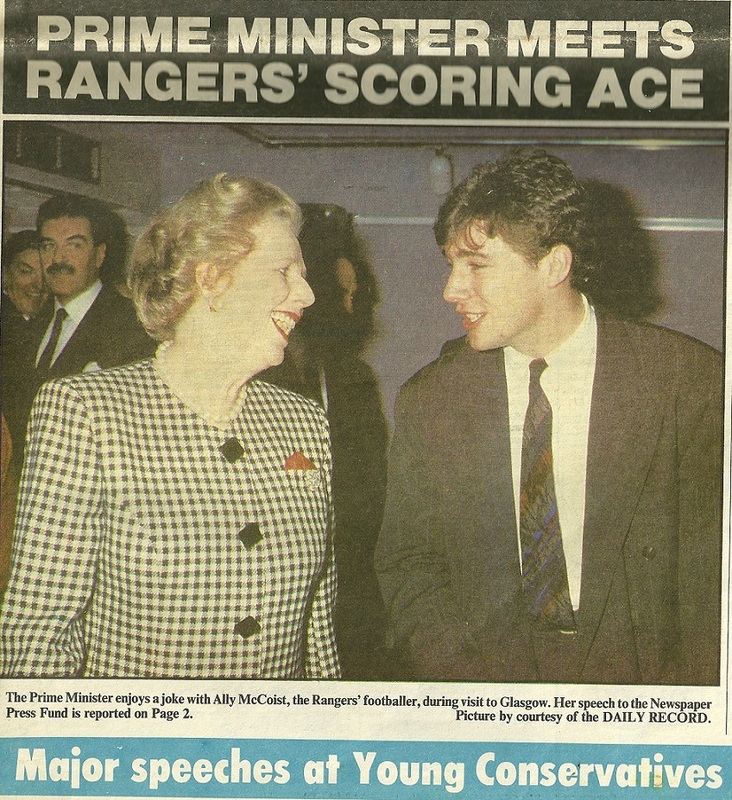 Amongst the artists involved were Billy Bragg, The Style Council, The Communards and Jerry Dammers. Others that made guest appearances included Madness, Prefab Sprout, Tom Robinson, Lloyd Cole and The Smiths. 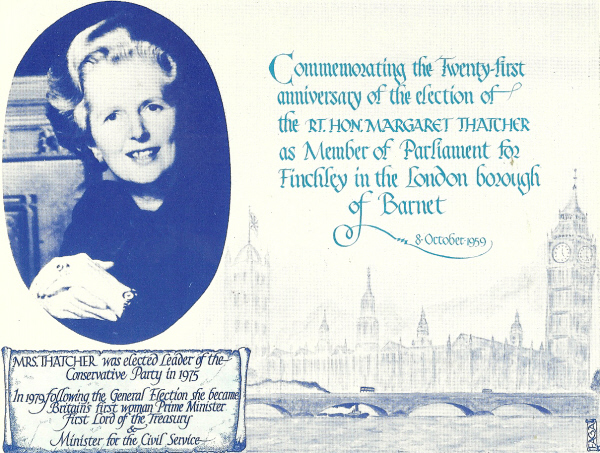 From 1980 a simple postcard commemorating the twenty -first anniversary of the election of Margaret Thatcher as an MP. There is a brief bio on the back.